Home What Fran's Clients Say Archive by category "Trusts & Estates"
Decisions need to be made proactively as we age. It is hard to know what to do to protect your assets to ensure the kind of medical and daily living assistance you or a loved one might need. Morris County NJ attorney Fran J.Garb can help. 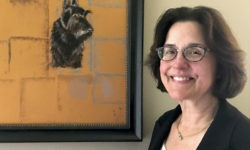 Find out how Attorney Fran Garb has helped New Jersey residents make the most of their resources as they age.